A former employee of Apple said they received an email asking them to come back to work between August 15 and September 15. 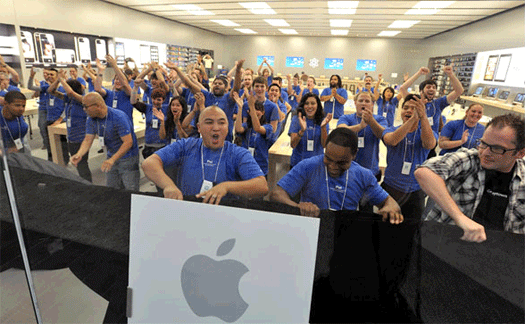 Now it could be argued that Apple is preparing for the returning college students and other back to school shopping. The time line would certainly imply that. But I believe Apple is, even more so, looking forward to the release of the iPhone 5 and see a massive amount of pent up demand for the device. With the iPhone 5 expected to be thinner and lighter, and equipped to handle “wave to pay” technology, we could very well see the most popular iPhone to date. And with this level of pent up demand, Apple probably can’t hire personnel fast enough for the upcoming iPhone 5 release.